All about our Pedestrian Access Conveyors? 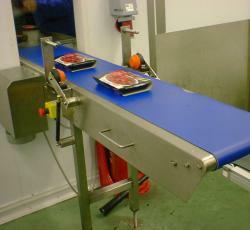 A Hinged Conveyor can be designed to allow pedestrian access by means of lifting the conveyor through a pivot point. The lift is assisted by means of a gas strut. 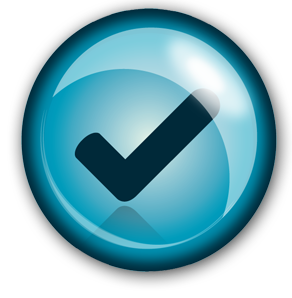 There is no need for the belt to be re-tensioned before or after use. 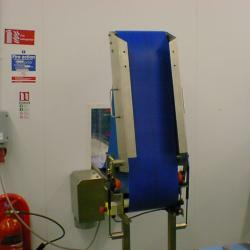 The conveyors can be made in stainless steel for the food industry but can equally be manufactured to suit a more industrial environment in mild steel. 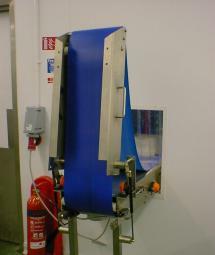 Our Hinged Belt Conveyor will be bespoke to your specifications and can be a one off Conveyor or it can be part of a Automated System. Designed so that the belt does not have to be re tensioned before using or after. Height can be made adjustable and an incline can be incorporated. Our Sales team have over 30 years of experience and are here to find the best solution to your problem.